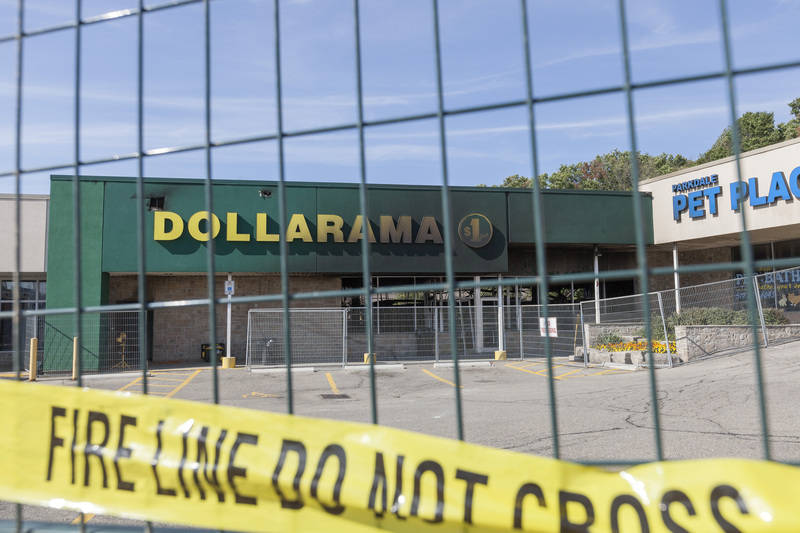 A fire that destroyed the Parkdale Plaza Dollarama on September 11 has been assuaged. Waterloo Regional Police have charged a 14-year-old male with arson for endangering human life and a second charge of possession of an incendiary device. The male, who cannot be identified, was arrested on September 12 and appeared in court the morning of September 13. There were no serious injuries as a result of the fire. There was an unconfirmed report of two firefighters injured, who are now recovering. “[We] are very fortunate that no customers, no one in the plaza was hurt at the time of the fire other than the minor treatment of the two firefighters,” said John Pierce, public education officer at Waterloo Fire Rescue. Pierce said the challenge in putting out the blaze was its inaccessibility, especially since the fire started at the back portion of the store. This resulted in a three-day process to control the blaze. Although the building itself has been returned to the owner, the investigation is still ongoing. All stores in the plaza continue to be temporarily closed and no further updates have been provided. Homestyle Diner, one of the stores affected by the incident, continue to wait for an update but owners Denise Price and Craig Yantz are optimistic and believe that everything is a process. “It is just a big clean up effort right now. We are trying to get our business cleaned up. We have to wait for the power to come back on and we’re just hoping to be open as soon as possible,” said Yantz. Homestyle Diner stayed open the night of the fire to help out all authorities involved as they worked to settle the blaze. The diner offered their washroom facilities and food to emergency personnel. “We were just trying to help them in any way that we can. I mean, we let them use our washroom,” said Yantz. Yantz and Price said there has been an outpouring of support from their loyal customers as well as the rest of the community. The siblings did not leave until 3:30 a.m. and members of the community came by to bring food and blankets. “We had to stand by our ship to make sure that nothing happened to our baby,” said Yantz.